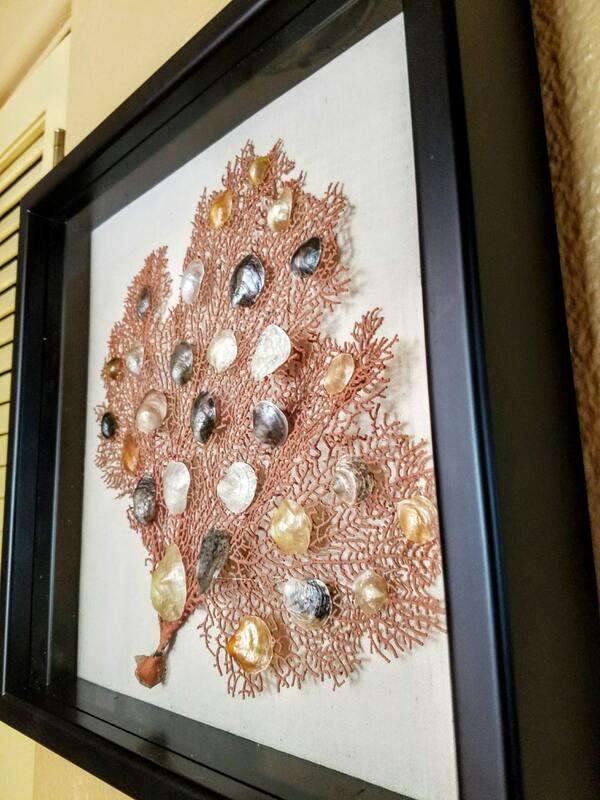 "Capiz Sea Fan" shadowbox is a light coral colored, natural, three dimensional sea fan adorned with extraordinary Capiz or "Jingle" shells. 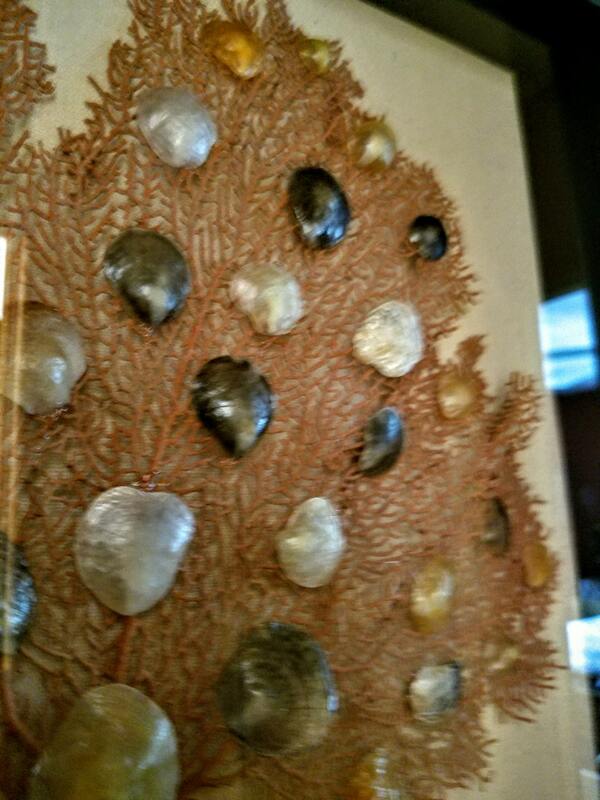 Personally collected from an exclusive, private, barrier island in southwest Florida. Each shell was hand chosen and polished to restore it's amazing, jewel-like finish. Multicolored blend of very rare colors. This piece is sure to draw attention to any room in your home; adaptable to a variety of design palettes ranging from coastal to colonial. The natural, canvas wrapped background is perfect platform; off set with a matte, black frame. 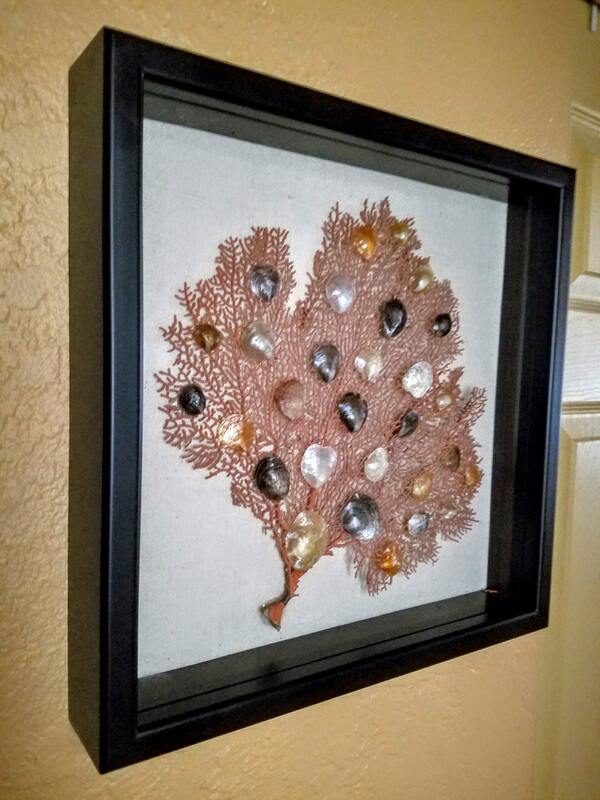 This piece is a stunning "must have" for the discriminating, costal collector.